Today, the Google began rolling out version 2.0 Android Auto application. This is a great step forward to utilizing the full power of Android while driving. This update means you now can have a standalone app for Android Auto. 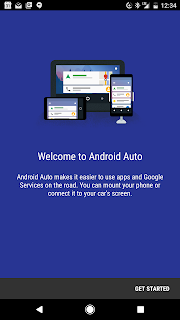 Essentially, having a standalone app removes the requirement for needing a special car or stereo system to access the features of Android Auto. The app brings Android Auto to anyone with an Android running 5.0+ with a data plan. Even if you don't have a compatible car, people can now enjoy the benefits of Android Auto. The app is a huge improvement over the built in apps as it incorporates safety and short glances into the UI. The buttons are larger and the interface utilizes a high contrast, voice driven experience. Learn more about this update from the official blog post. Please remember, the safety of all is the driver's biggest responsibility, so they must keep this in mind. No amount of application programming can make the driver any safer. I am finding that the current version in The Play Store is not compatible with my Galaxy Tab 4. Does anyone know when AA2 will be available for that particular device?